PlayStation VR + Camera + StarBlood Arena by Sony at Kode Fu Guru. Hurry! Limited time offer. Offer valid only while supplies last. 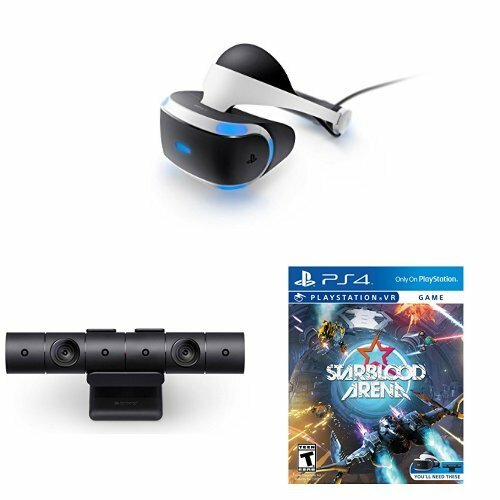 Contains: PlayStation VR headset, Processor unit, PS4 Camera, StarBlood Arena, PlayStation VR headset connection cable, HDMI cable, USB cable, Stereo headphones, AC power cord, AC adaptor, and PlayStation VR Demo Disc. Just Plug and Play - Getting into PlayStation VR couldn't be easier. Just plug the PlayStation VR headset and your PlayStation Camera into your PlayStation 4 system.